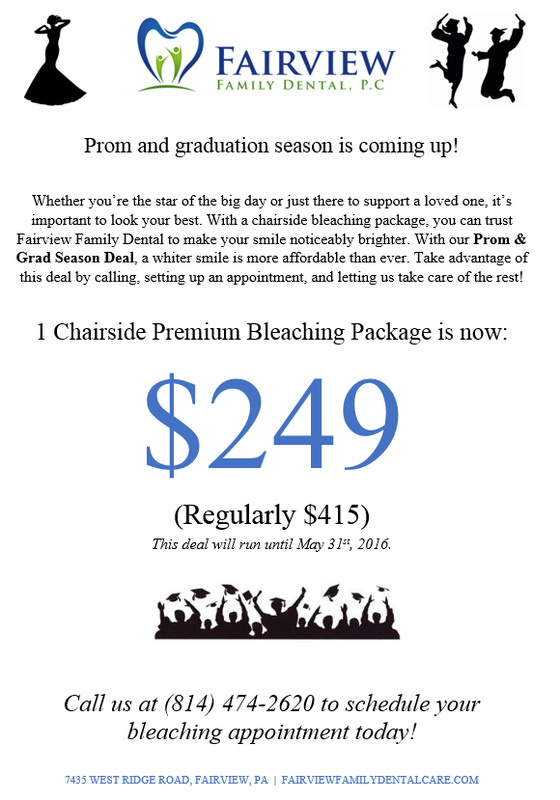 Chairside Premium Bleaching Package: SALE! Home » Latest News » Sales » Chairside Premium Bleaching Package: SALE! We have a SALE going on for our Chairside Premium Bleaching package! To get more info or schedule an appointment, call us at (814)474-2620.